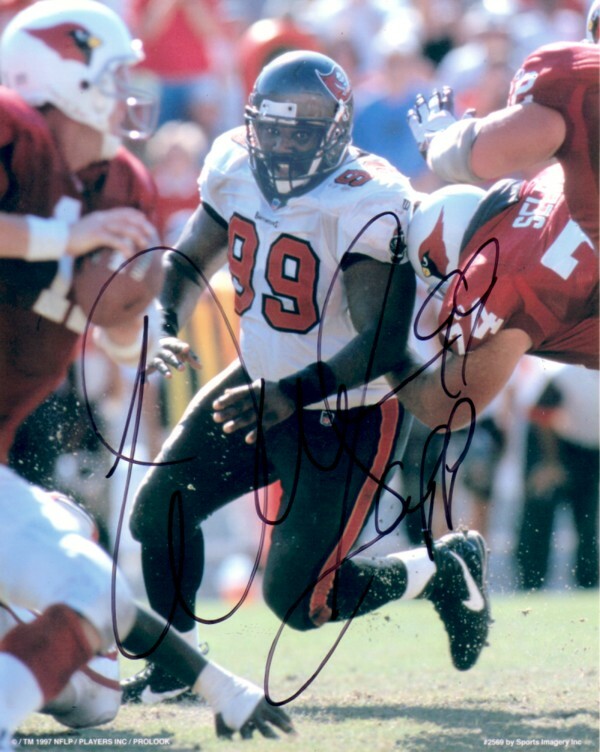 8x10 Tampa Bay Buccaneers photo autographed by Hall of Fame defensive lineman Warren Sapp, a very tough autograph to obtain. ONLY ONE AVAILABLE FOR SALE. With certificate of authenticity from AutographsForSale.com.